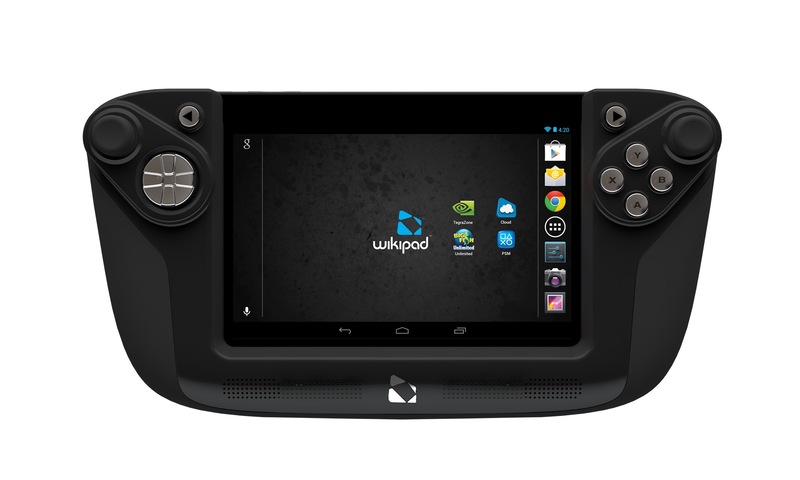 On June 11 Android gaming will get a boost with the launch of the Wikipad 7-inch Gaming Tablet at a few popular online retailers around the US. It runs Android 4.1 and will include a controller that holds the Wikipad giving gamers firm control as they shoot, race and play their favorite Android games. This is the first hard date we’ve heard since they announced it would come in the “spring” earlier this year. Buyers will find the Wikipad 7-inch Gaming Tablet at Best Buy, WalMart and TigerDirect websites. Other retail and online partners should get announced after E3 in July. The tablet will cost $249.99 at launch. The controller that comes with the Wikipad will really distinguish the device from other small form-factor tablets. It gives users a large grip on the sides of the tablet as they hold it in landscape mode. We get a D-pad and two analog sticks. There’s a set of four buttons and triggers on the back. Game console players will likely feel at home with the device. The controller also adds speakers for better sound. Here’s what buyers will get inside the tablet. That’s a decent set of specs for only $250. It favors the Google Nexus 7 tablet in both external looks and internal hardware, with a few exceptions. For example, the Nexus 7 houses a larger capacity battery but doesn’t include an expansion slot or HDMI output. The Nexus 7 camera is 1.2MP compared to the 2MP camera on the WikiPad. Since the Wikipad 7-inch Gaming Tablet runs Jelly Bean, users can download most apps and games that run on other Android tablets. It will ship with Skype pre-installed. In addition, the Wikipad comes with TegraZone, Big Fish Unlimited games and PlayStation Mobile. Since it runs a version of Android that’s close to stock, we hope they will offer updates quickly, but we’ll have to wait to see. News of the Wikipad first hit at CES 2012 but went from a high-end system to a budget tablet. We’ll have to wait to see if the Wkipad was worth the wait when it finally shows up next Tuesday. For more details see the press release at the company’s website. The Wikipad is a very unique and innovative product. It has great graphics, great gameplay, and really smooth controls. All gamers will want to buy this product.